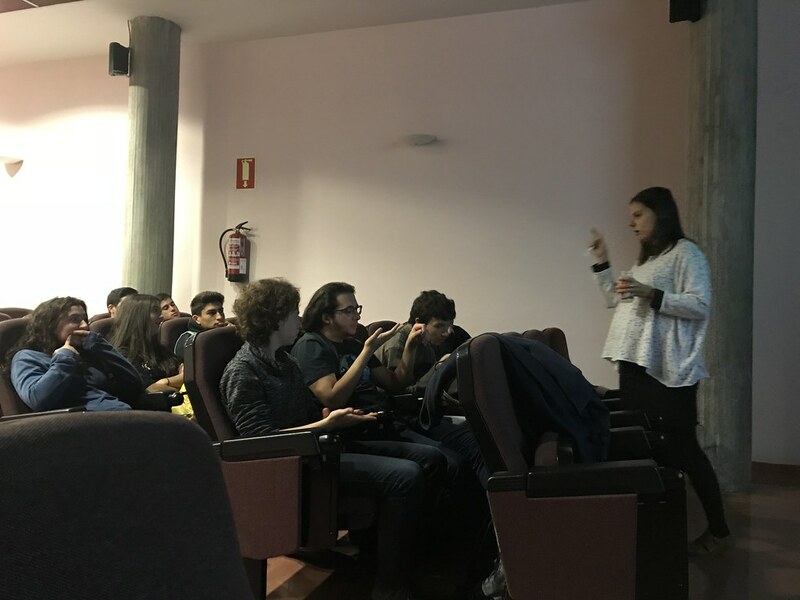 The students were very interested in this biopolymer, which offers many possibilities in emergent fields of science, such as biomedicine, nanotechnology, and even sustainable energy. And they learnt that cellulose, apart from coming from plants and trees, can be obtained from bacteria. In the NN group they obtain "bacterial" cellulose films, which are transparent, flexible, resistant and with a high water holding capacity. These cellulose films can be modified chemically with other compounds that offer them some interesting properties (plasmonic, magnetic, bactericidal, conductive...), so that they can be used in many potential applications. After the talk and the questions, the students made three groups and visited some of the Scientific Services at ICMAB: X-ray Diffraction lab, with Anna Crespi and Joan Esquius, where they prepared and analyzed an unknown sample; the SoftLab, where they say the supercritical CO2 installation, with Amable Bernabé; the Clean Room, with Marta Riba, where they learnt that some experiments have to be done in controlled temperature, humidity and special conditions; and the Low Temperature and Magnetometry Service, with Bernat Bozzo, where they saw the different magnetic measurements, which are done at very low temperatures using lliquid helium. They also visitied the NN laboratory, with Soledad Roig and Zhongrui Luo, where they learnt the difference between bio-cabinets and fume hoods and looked at C. elegans at the microscope. 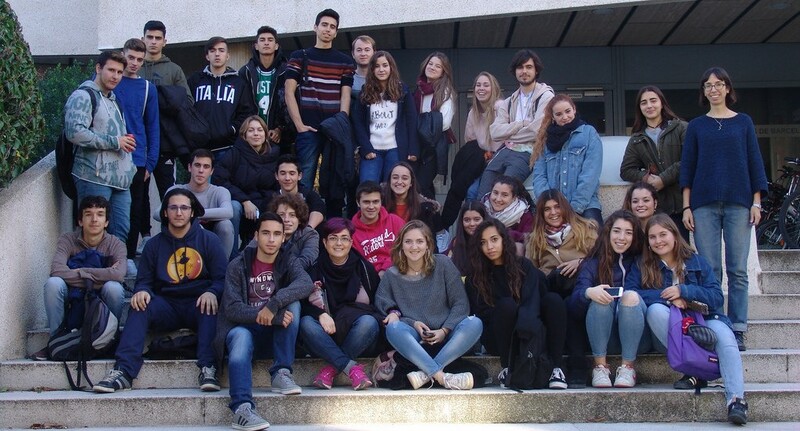 ICMAB participates in the "Setmana de la Ciència" by giving talks at different schools, opening its doors for school visits, and this year, organizing an exhibition of scientific illustration and a meeting between illustrators and scientists, with Illustraciencia.